Wellness Tip Of The Day: Add basil seeds to your diet to make your gut the happiest it’s ever been. Why They’re So Great: Basil seeds, or Sabja seeds, are the small black seeds of the sweet basil plant. They’re a staple in ayurvedic and Chinese medicine for their digestion-enhancing properties. 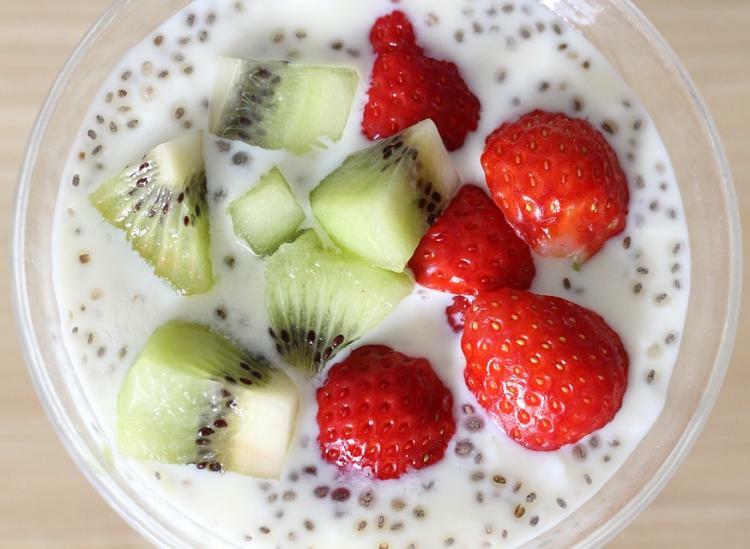 Their popularity as a health aid and ingredient is due in large part to the way they swell up into gelatinous pearls, similar to chia but with a more tapioca-like texture, when exposed to liquid. Basil seeds have long been used to treat ulcers, indigestion and diarrhea in traditional medicine. They’re also a good source of calcium, magnesium, iron and fiber. HelloFresh Meal Kits — Cooking just got a lot easier (and more fun!) with HelloFresh. The meal kit company creates customized meal boxes packed with fresh, high-quality ingredients and easy-to-follow recipe cards. Your gourmet, homemade meals are done in 30 minutes or less, and you can get your food shipped directly to your door at no extra cost. P.S. HelloFresh is offering you $80 off (that’s $20 off your first four boxes!) with the code HELLO2019. Grab your discount here. Flyby — Flyby is a capsule designed to help your body break down harmful alcohol-induced toxins, support healthy liver function and naturally replenish lost vitamins. We hope you find thes product useful! Swirled may be compensated when users click on the affiliate links above. Products are in stock at the time of publication.